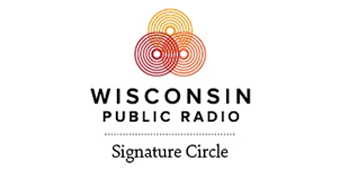 The Signature Circle is a special group of Wisconsin Public Radio supporters who have included WPR in their will or other estate plan. They are visionary philanthropists who are providing a foundation of financial stability for the future of WPR. To thank and recognize our Signature Circle members, we host Appreciation Events each year. And because our members live throughout Wisconsin and beyond, Appreciation Events are held all around the state. It's a chance for WPR to say "Thank You!" and for members to enjoy a few hours with WPR staff, program hosts and other Signature Circle members. If you have made a planned gift to support WPR but haven't let us know, we hope you'll contact us. We would be honored to acknowledge your generosity with membership in the Signature Circle (either publicly or anonymously) and invite you to our Appreciation Events. Plus, your planned gift today will inspire others to do the same. Contact our Planned Giving Staff at 1-888-909-4163. Thank you for signing your name to WPR's future! *Because of the complexity of estate planning, it is important that your attorney structures your estate and writes your will so as to best carry out your wishes. Wisconsin Public Radio cannot act as executor of a donor's estate.